Dr. Cushman holds a Ph.D. in geology from the Colorado School of Mines, a master’s in geology from Loma Linda University, and a bachelor’s in biology from Walla Walla College (now University). He is a passionate Adventist educator who looks forward to helping PUC as the college continues to develop its new strategic plan. His commitment to collaborative efforts and willingness to partner with faculty, staff, and students, makes him a great addition to the college’s administration team. Lecourt earned a Ph.D. in English literature at the University of New Hampshire in 1999. Lecourt continues to put her skills to work outside the academic administration office, writing occasional essays and poems; she is also the author of three picture books for children, including Rainbow (1980, Review and Herald); Abracadabra to Zigzag (1991, Lothrop, Lee and Shepard), and Teddy, the Better-than-New Bear (1993, Pacific Press). A former vice president and chief financial officer for St. Helena Hospital, Napa Valley, Parker is a certified public accountant with over 20 years of experience in finance and operations in healthcare, secondary education, and in the private sector. 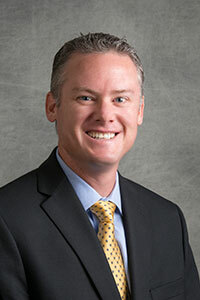 Earlier leadership appointments have included Mendocino regional vice president and chief financial officer at Adventist Health, vice president and chief financial officer at Ukiah Valley Medical Center, finance manager for Glendale Adventist Medical Center, and vice principal of operations and chief financial officer for Monterey Bay Academy. A native of Apple Valley, Calif., Parker is a graduate of Monterey Bay Academy. He completed a Bachelor of Business Administration with an emphasis in Accounting at PUC and an M.B.A from La Sierra University. He lives in Angwin with his wife, Heidi, and has two sons, Adam and Sam. Jennifer Tyner joined PUC in November 2012. She oversees recruiting and enrollment efforts, manages the college’s marketing, communication, and publications, and heads all areas of student life, as well. Tyner has extensive history in Adventist higher education, administration, and communications, and she understands what it’s like to be on the other side of the table. "Making college affordable has never been more important,” she says. “As a parent of two college-student daughters, I personally understand the challenges families are facing. PUC is working very hard to make an Adventist college education possible and creating more opportunities for students to succeed in their professional goals." 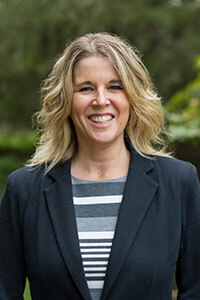 Kellie Jensiene Lind has a long history with Pacific Union College. 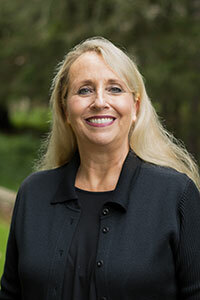 Before returning to serve as PUC’s chief advancement officer in 2017, previously she worked as the college’s public relations director, the alumni and development director, the associate director of student enrollment, and graduated from PUC with degrees in public relations and journalism. As a PUC alumna and longtime resident and businesswoman in the Napa Valley, Lind offers a unique perspective on building relationships with alumni, community members, and business owners. Combining her infectious personality with her background in marketing and fundraising, Lind has already begun cultivating new philanthropic opportunities in the valley. Lind currently serves as president of the Angwin Community Council, and is also a member of the Lodi Academy Alumni Homecoming Committee. In her free time, she enjoys meeting new people, cooking, entertaining, interior design and decorating, flower arranging, and swimming. She has two sons, Christian and Carignane, and is looking forward to becoming a grandmother in the coming months.